We Buy/Sell Gaylord Boxes MD. We currently have 2, 3, 4, and 5 wall boxes available in and around the state of Maryland. If you are in need of shipping boxes, complete a buyer request, and it will be sourced immediately. Our corrugated cardboard and gaylord box recycling service is complimentary to all customers. We will send a truck directly to you to pick up and recycle all of your unwanted inventory. We would love to buy your lightly used gaylord boxes. If you have boxes that you would like to sell, simply fill out a box seller form and we will contact you as soon as possible to pick up your boxes. 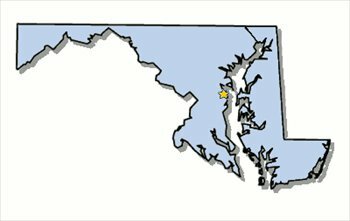 We proudly service customers’ boxing needs in the great state of Maryland. We have a previously established connection in the city of Baltimore, however we are actively seeking new partnerships in the cities of Annapolis and Rockville. One of the most popular services we offer all new and current customers is our complimentary box recycling. No matter where your business is located, we will come pick up all of your used cardboard bales and gaylord boxes. Additionally, if your looking to sell your gaylord boxes we will happily purchase them from you. However, the boxes must be either A or B+ grade. Unfortunately, there are no current listings for lightly used gaylord boxes in the state of Maryland. However, if you complete the box buyer form we will have your request sourced promptly, and we will be in touch with you in the very near future. We have ample supply in the bordering states of Virginia, West Virginia, Pennsylvania, and Delaware. We look forward to doing business with you!